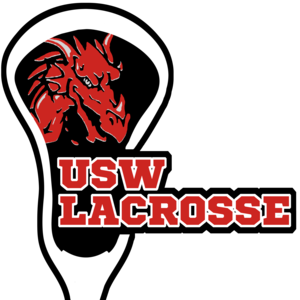 After being founded in the 2013/14 season, the USW Lacrosse Club Lacrosse Club has grown from strength to strength. Starting off as a purely men’s side with 15 members, the club has continually evolved and now has over 50 members each year. The club has a Mens 1st Team and a Ladies 1st team, both competing at BUCS level. Our teams compete in the fresher’s league where the male and female freshers play regularly between a few local universities to advance their skills in a perfect playing environment. Members of USW Lacrosse Club regularly take part in both mixed, mens and ladies tournaments outside of the BUCS league for extra lacrosse fun, and represent Cardiff Harlequin’s Lacrosse club. The club has regular socials on game days at the Student Union followed by trips and activities in Cardiff ranging from go carting to bowling. Not only that, but the members embark on an annual tour this year being in Croatia. There are team meals throughout the year with a Christmas, Awards night ball and yearly Alumi lacrosse match, which are social highlights. If your considering to play lacrosse it’s the sport for you if want to try something new that’s different from the norm football, rugby and hockey. The Lacrosse club here at USW isn’t like any other, we are all friends and much like a big family with mixed socials and training we believe that everyone should join and give it ago. Please take some time to check out our Facebook and Instagram to see what we get up to!